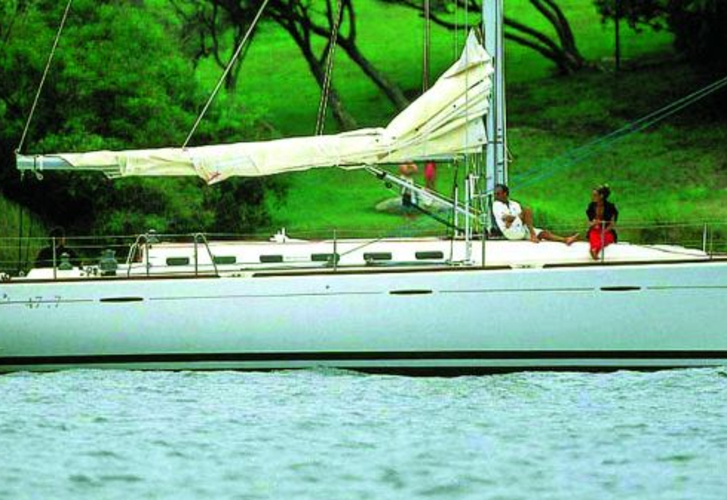 Sailing boat First 47.7 called HP ONE has been built in 2002. HP ONE is certified for 8 passengers. Layout of the sailing boat is 8. First 47.7 HP ONE has 3 cabins. For guests disposal there are 2 WC. You can fill the fuel tank with 235.00 l liters and in water container it goes even 620.00 l liters. With engine Volvo 78 Cv HP ONE can sail really fast. HP ONE is 14.90 m long and 4.50 m wide. Depth is 2.35 meters. Boat's equipment involves : Anchor electric windlass, Dinghy, Teak cockpit, Teak deck, Electric winch, Autopilot, Gps, Navtex, Bow thruster, Microwave, Outboard engine, TV, Water maker. . Nonrefundable deposit is 6200.00 EUR. Choose our offer and enjoy your holidays on the deck of HP ONE.